From the author of The Horse Whisperer comes the phenomenal #1 New York Times bestseller, an extraordinary new novel of love, family, and man's struggle with the wild. Nicholas Evans is also the author of The Horse Whisperer, the #1 bestseller that has enthralled millions of readers around the world. He lives in London, where he is at work on his next novel. "Gripping, big drama in Big Sky country...The Loop ropes a reader in." "Colorful, captivating . . . a novel of big themes: freedom, self-reliance, conservation, sheer survival." 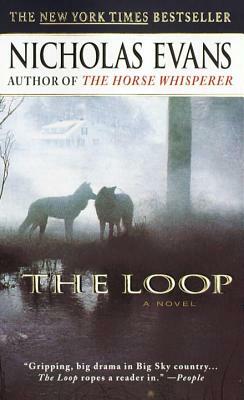 "Readers who loved The Horse Whisperer will most certainly love The Loop."